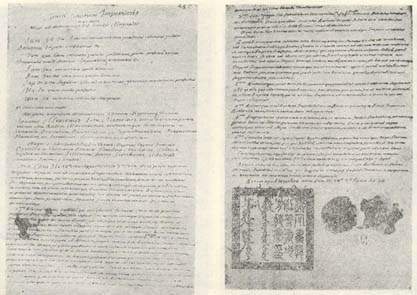 ↑ *On the difference between version of the treaty, see V. S. Frank, "The Territorial Terms of the Sino-Russian Treaty of Nerchinsk, 1689", The Pacific Historical Review 16, No. 3 (August 1947), 265–170. For the original texts of the treaties, see Michael Weiers ed., Die Verträge zwischen Russland und China, 1689-1881 (Bonn: Wehling, 1979). ↑ Journal of the Royal Central Asian Society, 281.